Since I’ve made several knitted garter belts for my friends as wedding gifts, I decided that I wanted to knit myself a garter belt for my elopement. 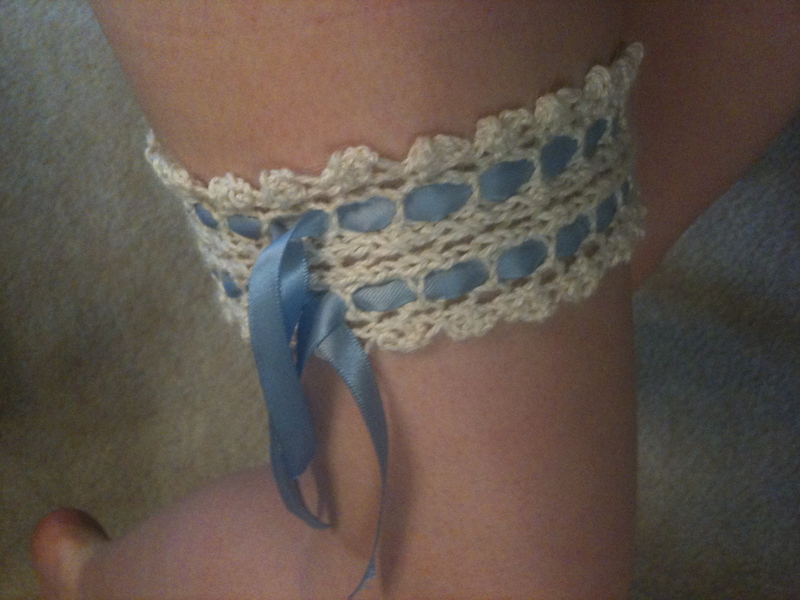 I used the same pattern as I had before and actually used some leftover ribbon from Candy’s garter belt. I bought more Blue Sky Alpacas Alpaca Silk because I really enjoyed the feel of the yarn. I knitted until the piece was approximately 17 inches long. 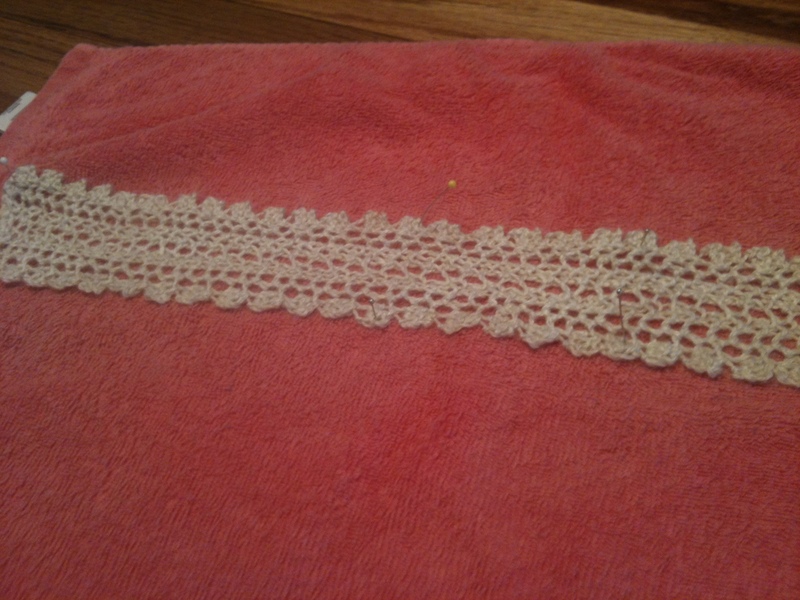 I used leftover elastic to weave through the piece for some give to it.